Home Off Beat	Smokin’ girl tattoo: Freedom of choice! âSmoking is injurious to healthâ-cliche which we read everywhere, even on cigarette packets but those addicted to smoking find it impossible to stop. In fact some people find it quite a style statement – for women it is often a statement of personal freedom and choice and that might be why someone wanted to reiterate it by inking a smoking girl tat on their arm? 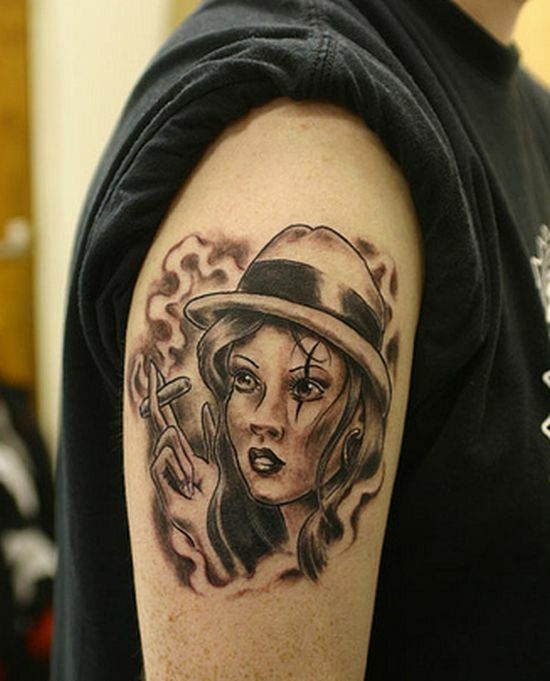 Whether you like seeing girls smoking or not is another issue but one thing is for sure, you would love this smoking girl tat! ← Skull in different looks!